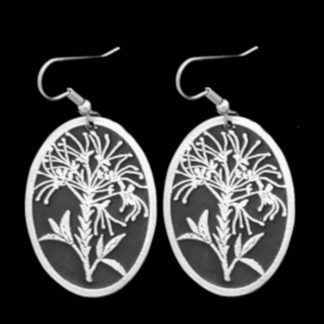 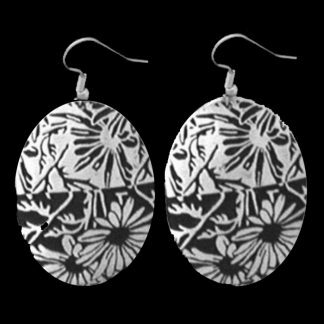 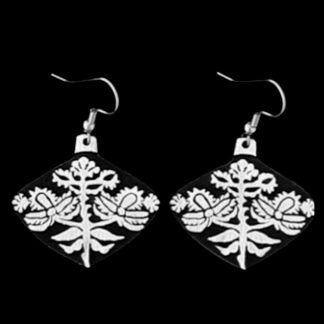 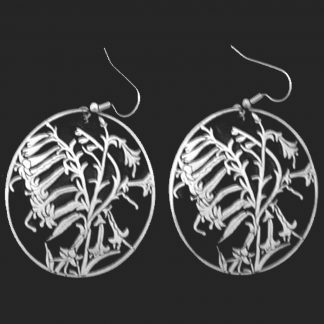 Alice Seely’s Earrings are lightweight and are made of semi-precious lead free pewter. 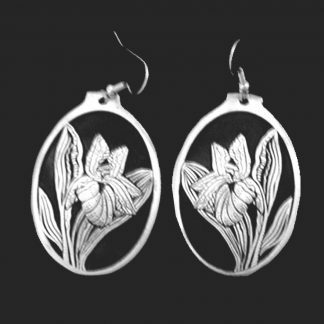 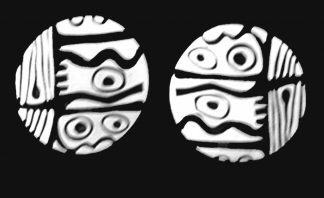 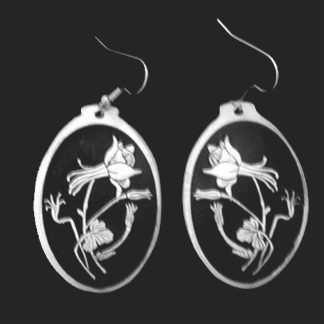 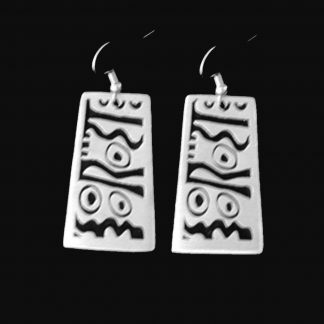 They are made in her studio in Hondo, New Mexico. 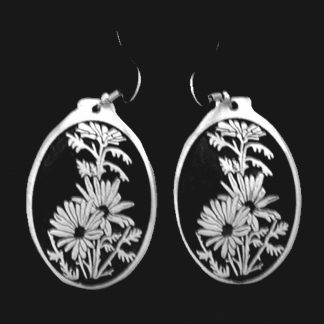 Pewter is 30% lighter than silver, doesn’t tarnish, and can be cleaned with fine steel wool. 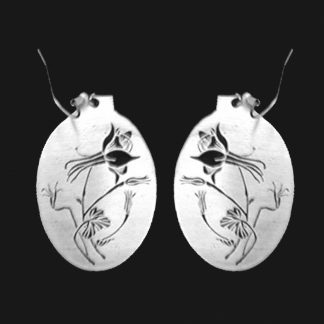 On some earrings it is possible to substitute studs or clips. 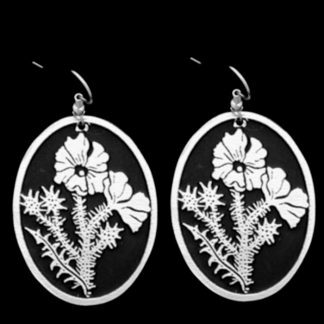 All findings are hypoallergenic and contain no nickel. 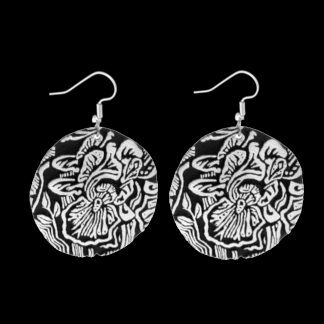 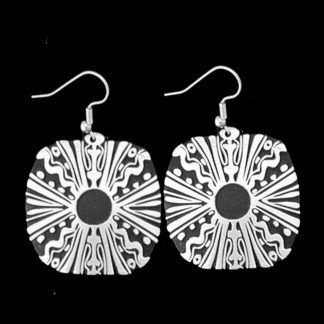 All earrings come on 2.25 inch cards with plastic hangers. 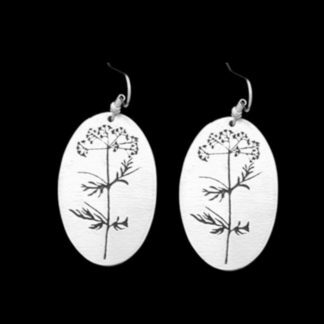 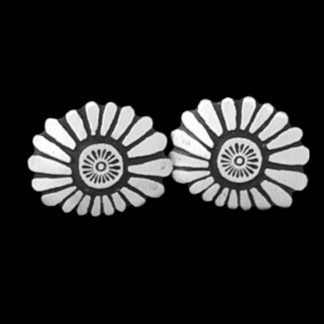 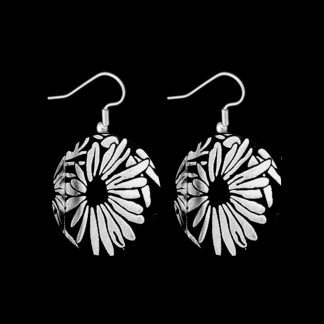 FLER5 SHINY COLUMBINE SIMPLE EARRINGS.